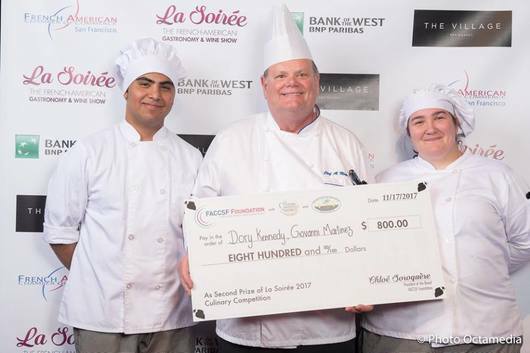 The French-American Chamber of Commerce San Francisco provided a competition based scholarship to current students who attend Job Corps Culinary Training Program. 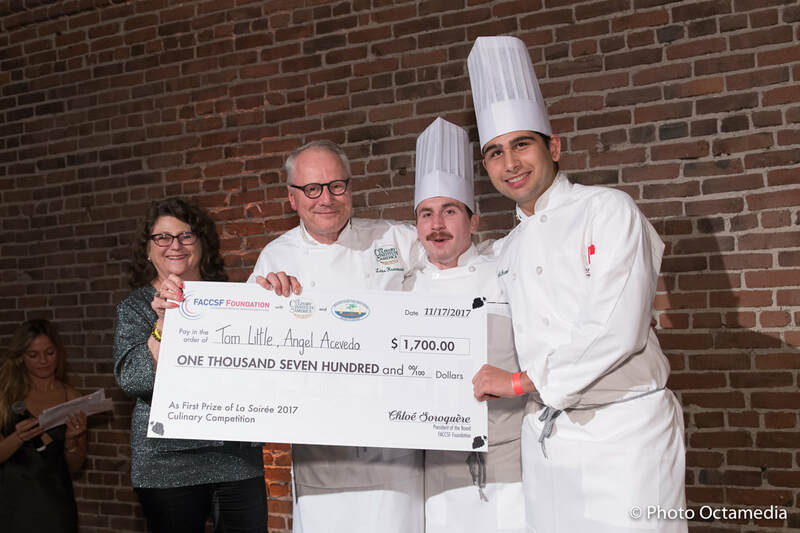 - The first round was conducted at students' respective schools, Treasure Island Job Corps and The Culinary Institute of America, in October: Two or three teams of 2 competitors. Only the first winners (team of 2) participated to the final at La Soiree. 6:00 pm: Beginning of LA SOIREE. Event Guests came at the booths and taste both appetizers of the teams. They voted then for their preferred appetizer. Job Corps, a low-cost education and vocational training program administered by the U.S. Department of Labor’s Employment and Training Administration, helps young people ages 16-24 improve the quality of their lives through vocational and academic training. Its culinary training includes instruction on the following topics: introduction to the foodservice industry; CPR and first aid training; ServSafe training; culinary math; ingredient identification; sustainability; time management; and culinary tools and equipment. In addition, students learn about soups and sauces, recipe development and menu planning, various cooking techniques, baking/pastry, purchasing and inventory, knife skills, nutrition and more. Treasure Island Advanced Hospitality and Culinary Program is engaged providing the students with off campus work based learning, intern-apprentices experience in various upscale hotels, country clubs and restaurants, increasing marketability and public trust.